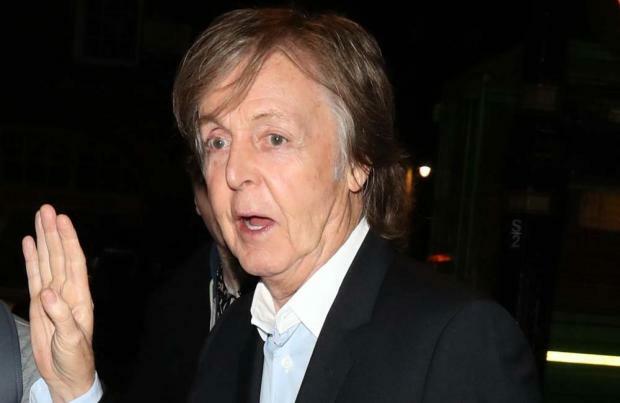 Sir Paul McCartney thinks the 'White Album' sounds like a record by a "modern band". The legendary musician listened back to The Beatles' iconic album while preparing for the new reissue, and he told the son of the famed 'fifth Beatle' Sir George Martin how contemporary it still feels. Speaking to The Sun newspaper at the Abbey Road studio, Giles Martin revealed: "The last person to sit right there with me was Paul McCartney. "We listened to The White Album mix and Paul said, 'I never realised how modern this record sounds. This could be a band today.' "
The new project has seen the record's 30 tracks becoming a staggering 107 tracks for the latest collection, and it sounded like Paul, 76, took the chance to reflect while he was going through the original LP. Giles added: "When I went through The White Album with Paul recently, he really wanted to hear the song Julia again. "I always thought it was just a John song but now I think Paul was kind of producing it. "And while Paul was writing 'Hey Jude' (recorded at the sessions), there was talk of dropping the line that eventually became 'don't carry the world upon your shoulders' but John said to Paul, 'That's your best lyric,' and of course it stayed." Although even the late John Lennon himself – who completed the Fab Four with Ringo Starr and George Harrison – once suggested the 'White Album' sounded like a band breaking up, Giles has suggested that the recordings from the sessions paint a different picture. He said: "I looked for fractiousness and I couldn't find it. That bond between John and Paul still existed. It doesn't sound like an unhappy time." Actually the song line was, The movement you need is on your shoulders-that’s the one Paul was going to change but John said was the best line of the song. He got the Beatles gig because he was trained in audio engineering by Sir George Martin, and worked with him on previous re-mix sessions. There are few others who can say that. Giles is a trained musician whose arranging skills are quite extraordinary! Yes, Daddy was Sir Martin. Giles earned his place-Dad just helped! Begrudge? No! Pertinacity.